Marketing strategy development – Not sure where to start? I can assess your needs, outline opportunities and prescribe specific actions for long-term social media success. 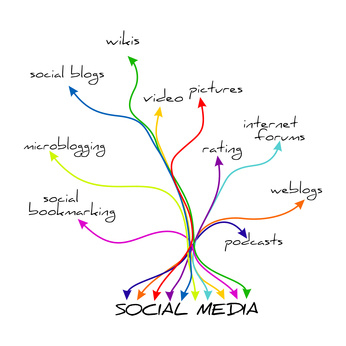 C-Level training – Need help leading your executives into the social media waters? I develop specialized training exclusively for execs and legal, and can develop strategy plans that guide your execs in their social media engagement, maximizing their opportunities to advance the organization’s brand. Training/equipping – Still not sure how social media could benefit your organization, or need help bringing extended staff up to speed? I design unique presentations based on your organization’s specific needs that can help unlock the social media puzzle. Strategic planning and integration – Social media isn’t an add-on, it needs to become an integrated part of the organization’s overall communications strategy. I develop strategies that help you merge the two into a unified strategy. Implementation guidelines – Not sure how social media is going to work within corporate policies? I can advise you how to keep the corporate attorneys happy while taking advantage of the benefits social media offers your organization. Blogging strategies – Not sure where to begin or how to consistently fill blog pages? I can help you identify strategic content unique to your organizations and help you develop a plan to consistently post content that connects with your specific audience.